If you find yourself in financial panic mode, where you feel like your debt is out of control, it can easily cause you to make some quick irrational or even damaging decisions in an attempt to get yourself out of debt fast. But, be careful, as these irrational decisions can lead to making mistakes that can do more harm than good. 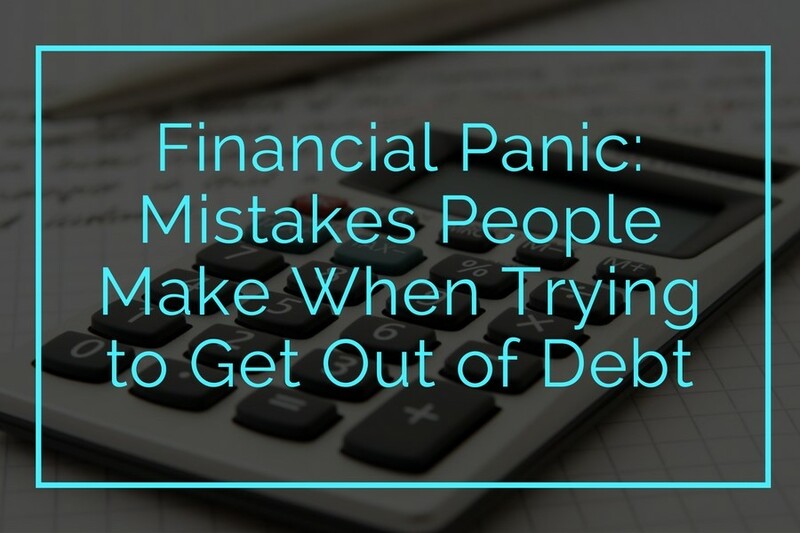 For example, here are some of the classic mistakes people tend to make in an attempt to deal with their debt, and how to avoid falling into the same trap yourself. If you are trying to get out of debt and keep your finances afloat it can be all too easy to not even realize that you are only making your situation worse if you use your credit card to pay off your other bills. Or, even worse, is if you use your credit cards to supplement your lack of money between paychecks. 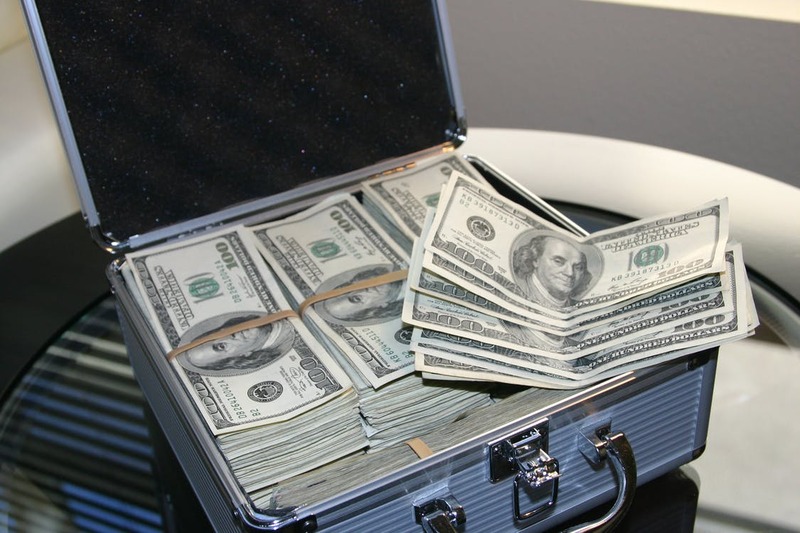 When you look at resources like https://www.debtconsolidationusa.com/creditcarddebt/bank-of-america-debt-consolidation.html you can see that there are options for bringing your debts under control. But if you carry on spending on your credit card, without keeping track of how much you are adding to your balance, it is going to be very difficult to bring your debt under control. It can often happen that you don’t realize how much you have spent on your credit card until you get the monthly statement, creating a sense of panic when you see the total due. To avoid this, a good starting point with your finances is to create a budget and work out exactly how much you have left to spend each month after you have paid all of your regular monthly bills. Start a new habit as well by withdrawing cash to purchase your groceries. Figure out what you can afford to spend on groceries for the week and then go shopping with cash instead of with your credit card. You will almost certainly spend less money when you are paying with cash and not charging everything to your credit card. A couple of months of working like this will help give you the discipline to be aware of what you are spending and why it’s a good idea to get out of the habit of putting everything on your credit card. It is perfectly understandable to feel like you want to get yourself out of debt as quickly as possible once you have made a conscious decision to sort things out and improve your financial situation. However, one of the biggest mistakes that you can make is to think that you can find an instant solution or a quick fix that will clear up your debts in a very short space of time. Looking for a fast resolution to your debt problem can cause you to make rash financial decisions. That can actually add to your financial burden instead of fixing it, even if it may not seem like it at the time. A good example of a huge mistake, that will only make things worse, is if you own your own home, and you decide to use some of the equity available by taking out a secured loan against your home. Then you take the money from that loan and use it to clear your credit card balances and other outstanding personal loans. As well, opening up a line of credit based on home equity or getting a tax-deductible loan seems like a no-brainer when your home is going up in value to compensate for the amount borrowed. The problem with all of those ideas is that your home is now at risk if you don’t keep up with the loan payments. And in addition to that, many people feel more relaxed about their finances and slowly but surely start spending again, because they see a zero balance on their credit card statement and they lose sight of the fact that they now have a new monthly loan payment to make. That is a disastrous situation, because then you have secured loans with your home as collateral, and you are back to square one if you run up a credit card balance again. It is often far better to work out a repayment plan for your existing debts and accept that it will take time to clear the balances, rather than seeking out a quick-fix scenario. Try to keep a calm head and think rationally about your debt situation rather than panicking and taking an expensive wrong turn. Remember that the best way to fix your debt problem is by adjusting your spending behavior and improving your attitude towards debt and money in general. Do that and you are well on the way to improving your financial outlook, and accept that it will take time to fix things. With a cohesive strategy for clearing your debts, you are less likely to find yourself in financial panic mode again.